Wavves headline Ballast Point's Made in San Diego Block Party on Saturday, March 30. Wavves, the Donkeys, Mrs. Magician AND the Schizophonics come together for a hometown block party in Little Italy spearheaded by local brewery, Ballast Point. On Saturday, March 30, Wavves, the Donkeys, Mrs. Magician AND the Schizophonics will come together for a hometown block party in Little Italy spearheaded by local brewery, Ballast Point. 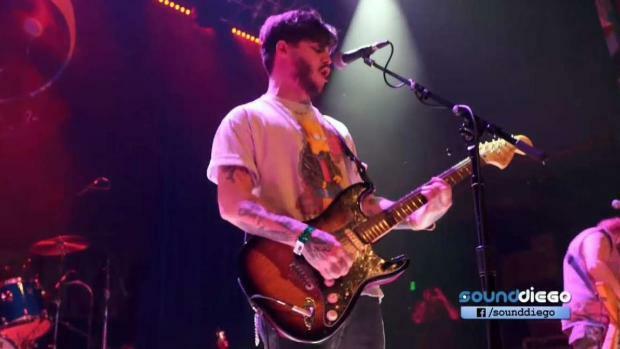 When we heard that homegrown surf-punk group Wavves were coming back to San Diego, 91x's Tim Pyles told us he'd call frontman Nathan Williams' mom if he didn't get back to us fast enough about shooting the show at House of Blues. Fortunately, we didn't have to take him up on it. Ballast Point's “Made in San Diego Block Party” will be a huge celebration of the company’s local roots and some of the finest locally brewed music to come out of America’s Finest City. The 21+ party goes down from 2 p.m. to 7 p.m. on India, West Ivy and West Juniper streets, near the Ballast Point Little Italy Tasting Room. Technically, entry is free, but as you might expect, this event will reach capacity quick. Don't fret, though: A $5 donation to the Little Italy Association of San Diego (a group dedicated to the revitalization of Little Italy and ongoing support of the community’s small businesses and residents) will get you guaranteed access. Not bad, eh? $5 to see multi-San Diego Music Award nominees and winners Wavves, the Donkeys, Mrs. Magician AND the Schizophonics? Sign us up. For those who want to sip on beer samples at the event, a $35 to $45 craft beer sampling package includes unlimited 2-ounce pours of craft brews. According to Ballast Point Vice President of Marketing Hilary Cocalis, San Diego will always be home. “For over 20 years, Ballast Point has called San Diego home. By coming together with local brands and breweries, our aim is to celebrate this community that has supported us from the beginning,” she said in a press release. Wavves, the Donkeys, Mrs. Magician and the Schizophonics play Ballast Point's Made in San Diego Block Party on Saturday, March 30. Get tickets here.